A few months ago, a friend unfriended me on Facebook, because I had said some things he perceived as being pro-Trump. I am not pro-Trump, but calling names is an illegitimate tactic. Name calling is a favorite tactic of those who have no real answers. It is a way of shutting down debate, and is a favorite tactic of Fascists and Nazis from as far back as the 1930s! It was also practiced by the Communists of Russia, and China, and Cuba, and Vietnam, and etc. People call Donald Trump names, such as Nazi, or dictator, or bully, or bigot, without substantiating their claims. Trump may actually be some, or all, of these things, but it is wrong to smear a person’s reputation without examining their own statements, and behaviour. Calling names is immature and childish, and is a favourite tactic of the Left! Having had people impugn some of my own motives, without examining what I am saying, or where I am getting this stuff, I know what that is like. Luckily for me, I am a Canadian, and I don’t have to make a choice in the upcoming American elections, because I don’t see a person I could vote for in any of the top places in either party. I want to examine Donald Trump today, simply because of the support he is getting from Evangelical Christians. 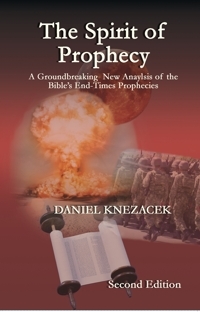 You see, as I studied the bible’s prophecies about the Anti-Christ, I gradually came to realize that he will rely on the support of professing Christians to gain power, even though he is not one of them himself. If you say the right things people will think you are one of them, even though you might mean something entirely different from the get-go! I see a parallel between the Anti-Christ and Donald Trump. I also think that their current support for Donald Trump is going to backfire and lead to persecution against Christians! Revelation 17 tells us the Whore of Babylon, will be used to bring the Antichrist to power, and then he and the ten world kings will turn on her and destroy her. The Whore of Babylon is a near-future world religious body which includes many professing Christians. This whore will be made up of all Christian denominations, though she might include representation from other non-Christian religious groups as well. Just to be clear, not everyone who names the name of Christ is truly a Christian, and no true believers will endorse the Anti-Christ, but many professing Christians will do so. And so, when the rapture happens and these people are left behind, they will deny that it was the rapture because “I’m a Christian and I was not taken”! The End Times false Christians will push the world to accept the man known as the AntiChrist. He himself will be saying things that these “Christians” want to hear, even though he does not actually believe them himself. I have no doubt that some of the doctrines that he will adhere to will be false Christian doctrines, that do not actually come from the Scriptures themselves, but actually from man-made traditions which have been accepted for many years as Christian! In the same way, Donald Trump has a long history of flip-flopping on issues; at one time he supported abortion, but now he is against it. At one time he supported Obamacare, and now he’s against it. He is saying the things that Tea Partiers, and other conservatives, say simply to get their votes, but his history is one of supporting causes he perceives will be in his own best interests! Donald Trump is a pragmatist, and not a principled person. In the same way the Antichrist will say the things the Whore of Babylon wants him to say, but in the end he will destroy them! This is not the kind of person you should trust. The problem is not that Donald Trump is a sinner, we are all in that boat, the problem is that he is unrepentant, and actually boasts about his sin! An even bigger problem is that Christians overlook all these problems and are willing to support a man who promises to trounce the constitution! The right to freedom of speech is one that is central to the western world, and yet Trump promises to make it easier to sue media outlets who say things he does not like! This one should be a wake-up call; How is it that Trump and Clinton say the same things? This entry was posted in Christian Doctrine, World Events and tagged Donald Trump, donald trump antichrist, favourite tactic of the Left, support from evangelical christians. Bookmark the permalink. I appreciate the no holds barred way you frame what every American should be loudly decrying…the psychopathy of American, “exceptionalism” culture…especially in its leaders. I just read a timely op ed at, themoderngnostic.com that I feel helps shed light on what is truly wrong with USA leadership. ( These concerns could be examined in regards to all of us though). The piece is entitled,” The Amerikan Way- A Study In Psychopathy”. Look at the, “leaders” in so many fields there today…in music, movies, endless military intervention and many new, “family values” besides her politics. Like Trump and Clinton, they emote such shameless arrogance in the face of long lost decorum. Our God says that the humble shall be exalted, and that the meek shall inherit the earth. Instead of seeking such blind guides, American’s who haven’t should ask Jesus for the eye salve He offers so that they could see that,” She has become the hideout of demons and evil spirits,…”. America’s Saviour has already come! Speaking of Trump’s hometown, check out the breaking news at…dublinmickdotcom.wordpress.com….”The Temple of Baal Is About To Be Erected in Times Square in New York City”. No, this isn’t a joke…the New York Times story link is included! Having been raised in a Baptist family, I thought I had been raised in a Christian home. I am no longer sure. It has come to this, that the professing Christians in the western world have become worse than the pagans! This echoes the situation in ancient Israel, the difference being that ancient Israel did not have the complete Word of God! As Jesus said “to whom much is given, much more is required”! So it is only natural that a great tragedy is awaiting the western world. As I have said before, I believe the downfall of the west will come to fruition during the Gog/Magog war, and by the looks of things that war is probably not more than 10-20 years away! In the mean time, those of us who know the Saviour need to be busy shouting out the gospel to as many who will hear it, before it is too late! Oops…my bad! Thanks for the correction Dan. Having just prayed I felt overwhelming concern knowing hundreds of millions of professing Christian’s are attending “Easter” services this weekend. I see in the midst of this Goddess of Spring festival, and the above Baal temple article coming to light right now as no coincidence. I ask all born again believers to pray for God’s people to come out of these corrupted churches that promote Easter, churches that in some cases have been overtaken by savage wolves and hirelings as prophesied by the apostle so long ago. Pray also for Dan, and other such loyal brethren who are willing to put the time and effort into these sites and for creating a forum to get God’s message of warning out. If you out there don’t know the difference between Passover and Easter, there are many references you could seek. endtimesforecaster.blogspot.ca entitled, “For Whom the Bel tolls…”. It contains another informative link from,” Running From Babylon”. I call on all true believers to see the seriousness of these times, and to sincerely pray for the people in these cities. I expect the righteous wrath of the Almighty God to break out after this brazen affront, which is clearly warned against in His Holy Word. Jeremiah 50:2, “Declare ye among the nations ,and publish, and set up a standard, publish and conceal not: say, Babylon is taken, Bel is confounded, Merodach is broken in pieces; her idols are confounded, her images are broken in pieces”. Watch and pray brethren. Mark13:37. The Arch of Baal was unveiled at Trafalgar Square! Round Saturn’s Eye channel, youtube.com. H. Radcliffe at removetheveil.com says in his latest article the word Trafalgar is Arabic from, Taraf al garb, meaning, “End of West”. These Masons and Satanists are certainly are doing there part to provoke such. How, though, are you seeing that Trump’s campaign will cause persecution against Christians? I definitely anticipate, and am already seeing, a backlash. However, its in the form of people getting turned off of organized religion more than ever, especially the younger generation, because of so many visible hypocrites. I don’t think that Trump is the worst candidate in this election, but I agree with you that there likely will be a backlash. I would even say that the backlash may be deserved for those who are Christian-in-name-only. Unfortunately those who are true followers of Jesus Christ will get lumped in with the religionists. I disagree with the statement that Trump hates foreigners, if he does why did he marry several of them? I think he is making statements that he thinks conservatives want to hear. I think, however that the substance of his policy towards immigration is that those who are predisposed to terrorism should be kept out, and in this I am in agreement with him. Muslims do not integrate with the indigenous population wherever they go. Whenever they reach a population of around 10% they cause a lot of trouble. As for your contention that God might hate Donald Trump, I think that God hates sin, and He hates the way Donald has treated his wives, but my bible says that God does not want anyone to be destroyed in the Lake of Fire, but longs for everyone to repent. This is true of Donald Trump just as it is true of Hillary Clinton. In Ezekiel 39:6 God says that He will send fire on them that “dwell carelessly in the isles” and I would not be surprised if this prophecy will be fulfilled at a time when someone like Donald Trump is president of the USA. The truth is, however, that the Clintons are also very careless, so a Hillary win could still have the same result. May I make a suggestion? If you expect people to believe what you are stating in your blog I would try writing the complete truth!!! Unless you’re writing from a right-wing perspective, your phrase “Calling names is immature and childish, and is a favourite tactic of the Left!” is an obvious and absolutely misleading statement. ??? Excuse me ??? Where were you during the eight years of President Obama’s tenure? Living under a rock??? He was called every name you can conceivably think of and more so. Add to that, with disgusting and repulsive racist remarks thrown in. !!! BY THE RIGHT !!! Please update your blog and remove that statement or update it to be correct. Otherwise I won’t believe a single word in it!!! I never heard anyone call Obama any racist names. That does not mean no one did, but the people I listen to did not. I generally listen to Christian commentators, such as Brannon Howse, and Crosstalk, or the people at the Daily Wire. None of them ever used any racist names for Obama that I heard. I stand by my remarks, that name-calling is a favorite tactic of the left, but perhaps I should change it to “name calling is a favorite tactic of those who have no real answers”. It is also a favorite tactic of those who want to stifle debate. We know by the behaviour of liberals that they are churls, so it is not really “name-calling”! an impolite and mean-spirited person. a person of low birth; a peasant. For the record, all these definitions define modern liberals. Liberals support charities far less than conservatives, and this is borne out by statistics, so they are indeed misers! The last one? They act like persons of low birth, although most of them were actually born into wealthy families!